If you're a big fan of Makeup Revolution or are part of the beauty blogger community, you will have 100% heard of this palette or even own it! 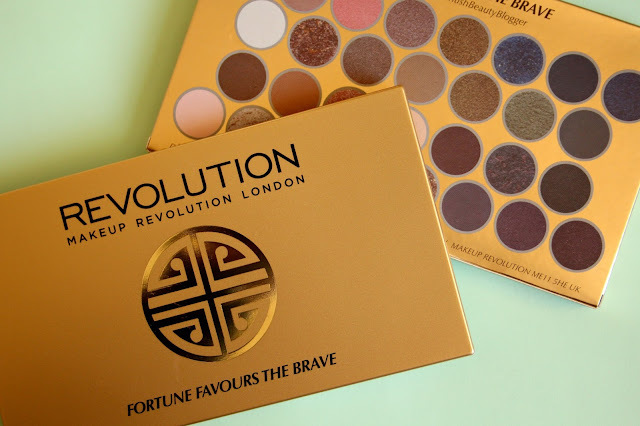 But if not, this is the stunning Fortune Favours The Brave palette by Makeup Revolution, which was created in collaboration with BritishBeautyBlogger. All you have to do is take a look at this colours and you can understand why it's so hard to resist! I've been absolutely gasping to get my hands on this palette, but at first, I couldn't fit it into my budget, then my order got cancelled as they ran out of stock, but FINALLY, I managed to nip to Superdrug and pick one up. It's been a long time coming, so I can't wait to delve into this palette and have a little chat about it. First of all, just look at this packaging and tell me it's not beautiful. This palette comes in a metallic gold box which provides you with all the palette info and images of the colours. Then the palette itself is a matte gold with this beautiful, reflective, metallic gold symbol in the middle. It definitely stands out from the other Revolution palettes, which are all mainly black with the Revolution logo, so I was able to spot this instantly in Superdrug. I'll admit, it was a lot smaller than I had thought, but that only makes it so much easier to travel with! As well as its small size, it's also lightweight and quite thin, also helping with travelling. It's all made from a pretty solid plastic, so I'm hoping that'll stop any smashing if I drop it. I'm pretty clumsy, you know! When you open it hit, you're hit with this wall of colour in a whole range of shades and finishes. I mean, just look at those marble baked ones! There are 30 shades in total (for £9.99, that's absolutely crazy!) and because of the colour range, you'd be able to create all kinds of looks with this single palette. Natural, smoky, daytime, evening, you name it and you can do it! I'll get into more detail about that in a mo, but let's just take it in for a second, shall we? The whole underside of the lid is mirrored which is great, and you also get a double-ended brush. I'll be honest, the brush isn't great, but it's a lot better than those spongey things that you usually get in palettes with this sort of price point. But now, let's have a closer look at each colour. I'll be swatching row by row, and talking about each one and its finish. So the top row is a real mixed bag of colours. First up is Glimmer, which you can probably tell isn't all that pigmented. It's a pale peach with a slightly gold shimmer finish, and I was hoping that I would be able to get good colour pay-off from it. It would be great for subtle highlighting though! The next shade is Buffer, which is a warm pink-brown matte, and I think it would be ideal for all over the lid or for blending out darker shades. Again, I found the next shade, Peachy, to be quite lightly pigmented, but I still think it looks really beautiful. It is a peachy pink shade with a shimmer, so it'd be great for highlighting. Next up is Hope and it is stunning! It's a warm, taupe gold shade with a foiled effect, which would look gorgeous on brown eyes. Next to that is another shade I absolutely love, Fortune. It is an antique gold shade with a foiled, metallic finish, and I think this would really complement green eyes. It would be great as an all over lid shade! Next up is one of the marble baked shadows, Skylight. This is a beautiful, royal blue shimmer, and it's not as pigmented as other shades in the palette, but I think that works in this shades favour. Next to that is Transformer, a deep, rich, forest green matte, and I can really see myself pairing this with other shades in this palette for a green smokey eye. The last shade on this row is Midnight Rainbow, and this is a dark blue-green with a blue shimmer. It's bloody gorgeous! The second row is definitely my top favourite in this palette, as I don't think there's a shade on it that I don't like! It's quite earthy, but holds a lot of beautiful metallic shades and shimmers that can be used to create standout looks. The first is Ice Cloud, a super pigmented icy white with a silver shimmer. This will look absolutely superb in the inner corners to brighten up the eyes. The second shade is Golden Coins, which is one of my favourite shades in the palette. It's a marble baked shadow in a champagne gold shade. Just think how amazing this one will be for Christmas! Next up is Cashmere, a shimmery taupe brown. It has a particularly creamy texture, so it is very easy to work with. The next shade is Tip Top, which isn't all that pigmented, but I still think it's really beautiful. It's a matte khaki green, and it would look perfect over the whole lid or to blend out other shades. Next up is the beautiful Yes Please, which is a striking, foiled olive green. I think this one would be unbelievable on brown eyes! Second to last is Green Machine, a metallic leaf green, which would perfectly with the next shade. The last shade is Smoothie, which is a matte army green. 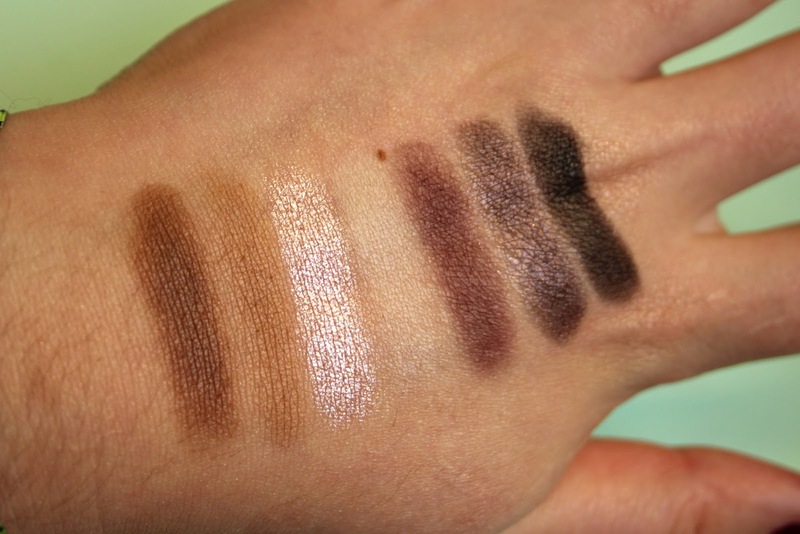 It is one of the less pigmented shadows in this row, but it can be built up quite easily. This is probably my second favourite row in the palette. While I do love the more striking colours in this palette, I am a sucker for a good neutral, and the first shade, Caffeine Fix, is something that I can see myself using in the crease time and time again. It's a matte, chocolatey brown. The next shade, Latte, works perfectly with Caffeine Fix, as it's a light brown matte. I can definitely see myself reaching for these two a lot in the future. Next up is Pink Diamond, which is a pale, sugary pink shade with an icy shimmer. This is another one that is ideal for brightening up the inner corners, and maybe for using sparingly under the browbone. The next shade along is Creme, and it's a creamy vanilla matte shade. As it's not too pigmented, it would be perfect for setting down any lid primer you may use. The next shade is Drama Queen, which is a deep plum-brown shade, which I love! It's ideal for this time of the year and would be great for switching up a neutral eye look a little. Second to last is Lonely Planet, a marble baked dark purple with a shimmer. I would almost go as far as to say that this is "bruise purple", but it's just far too pretty to be called that! Last of all is Blacqua, which is a matte black, and I have to say, in comparison to a lot of the other mattes in this palette, this shade has really great colour pay-off. 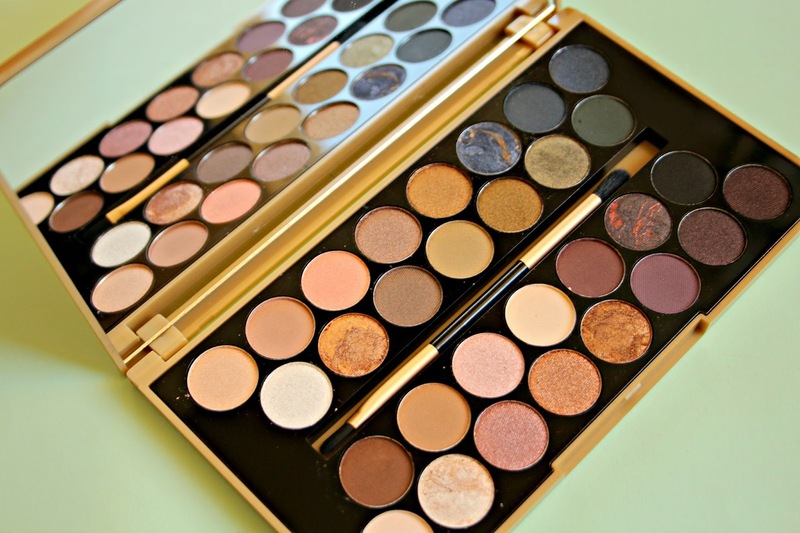 Every palette needs a good, matte black, and I think Revolution and BBB hit the nail on the head. The final row is very warm and ideal for creating that sun-kissed summer look. The first shade is Soft, which is a matte cream-pink shade, and again, it's a lot more pigmented than many of the other mattes in the palette. The second shade is New World, a marble baked white gold shade with a warm shimmer. This is absolutely stunning and would make a gorgeous highlighting shade. Next up is Favour, a warm, metallic rose pink. It's not my favourite colour of them all, but I can see it being a real winner with many people. The next shade is Sunset Hour, a beautiful warm gold with a slightly orange undertone. 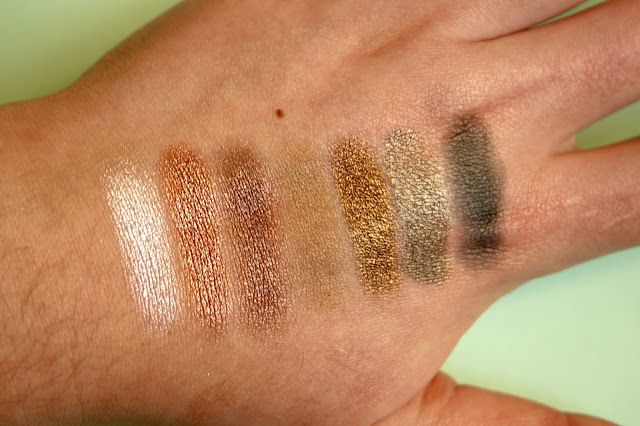 I absolutely love this shadow and I think it would look so gorgeous on brown eyes! Next, we have Super Gold, a marble baked metallic copper-gold. Paired with a deep brown, this would create a stunning night look. Next up is Winning, which is a matte plum purple. I had to build this shadow up to get decent pigment, so I was a little disappointed as I was really excited for this shade. 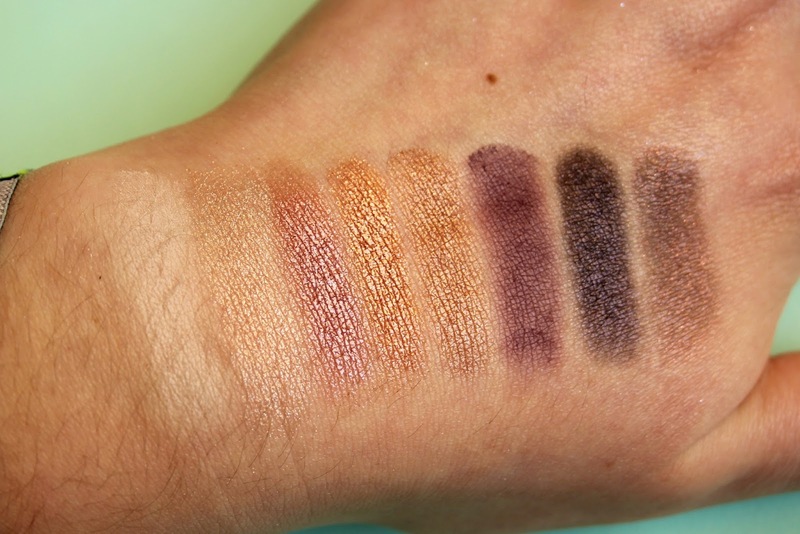 But I still think I'll be reaching for it, because I just love a plum shadow! Second to last, we have Brave, which is a deep, matte purple with a pink shimmer. This is certainly one to turn heads with! And finally, we have The Revolution, which is another dark purple matte with a pink shimmer. I was so disappointed by this shade though, as it really isn't that pigmented at all. I tried so hard to layer the colour but I just couldn't get anything out of it! 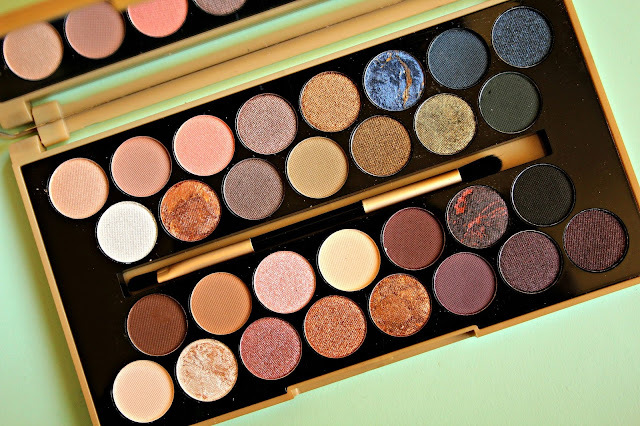 Overall, I find every shade, except for most of the mattes, to be really great. 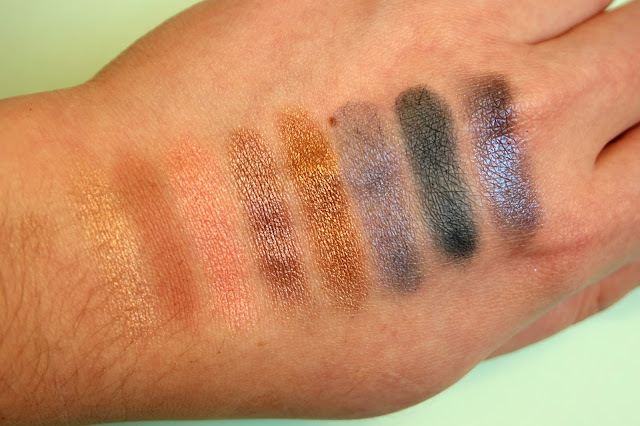 Most of the mattes were quite chalky and gave me a lot of fall out with barely any pigment. Of course, there were a couple that were much better, but I was disappointed with the others. However, for a palette with a price point of £9.99, we can't expect every shade to be absolutely incredible. The shimmers and the baked shades were insane, so if you're into those, you should definitely check this palette out. My top favourite shades are Fortune, Golden Coins, Yes Please, Ice Cloud, Drama Queen and New World. I've got a few events coming up, so I'll be experimenting a little with this palette, especially this greens! I can certainly see myself using some to create a statement eyeliner look. If you're someone that's just getting started with makeup, or if you're starting a collection and looking for something with shadows for all occasions. I'd definitely recommend this. It's not super expensive, and it gives you plenty of freedom to play around with a variety of shades. You can buy this palette on the TAM Beauty website or at Superdrug for £9.99. Do you own it or would you like to buy it? Which is your favourite shade?